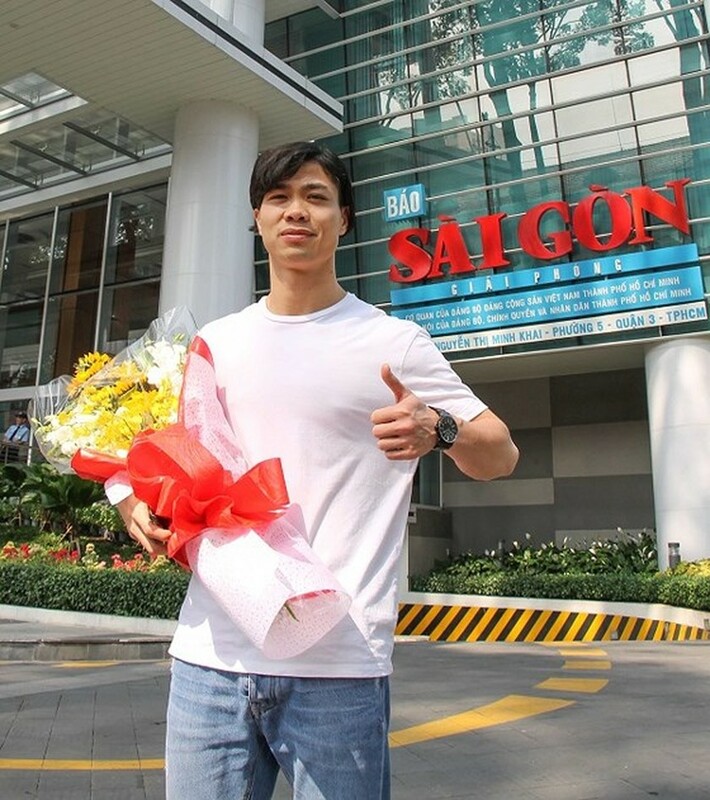 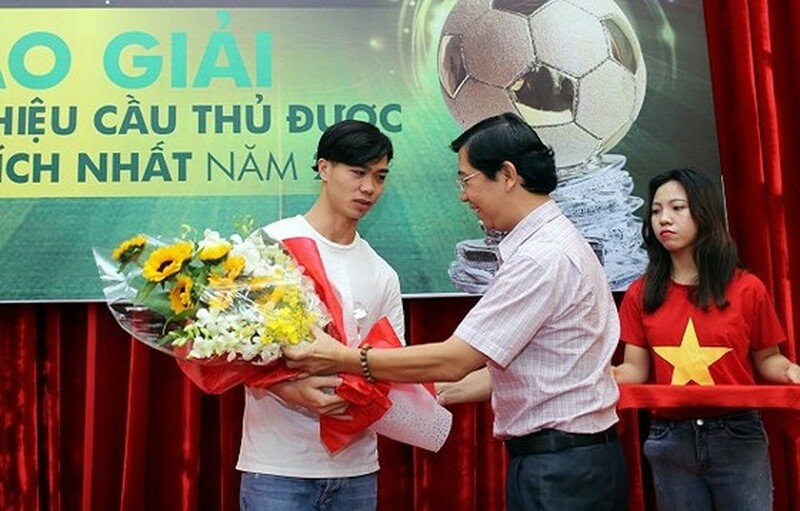 Vietnamese striker Nguyen Cong Phuong has been voted as the most favorite player by football fans and experts. 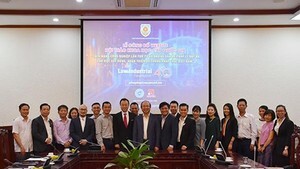 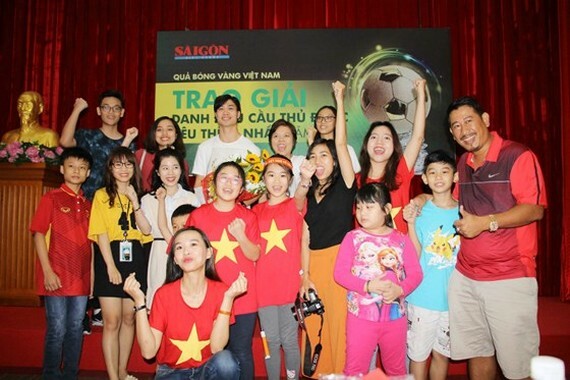 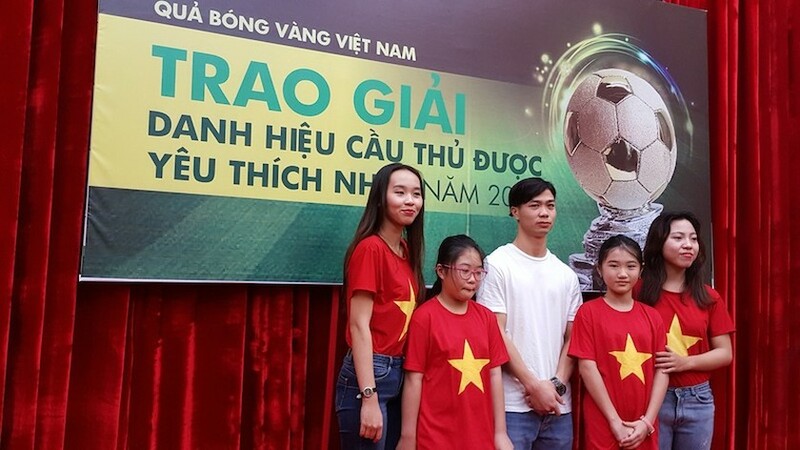 He received the title and cup from Vietnam Golden Ball 2017’s organization board at Sai Gon Giai Phong Newspaper on February 3. 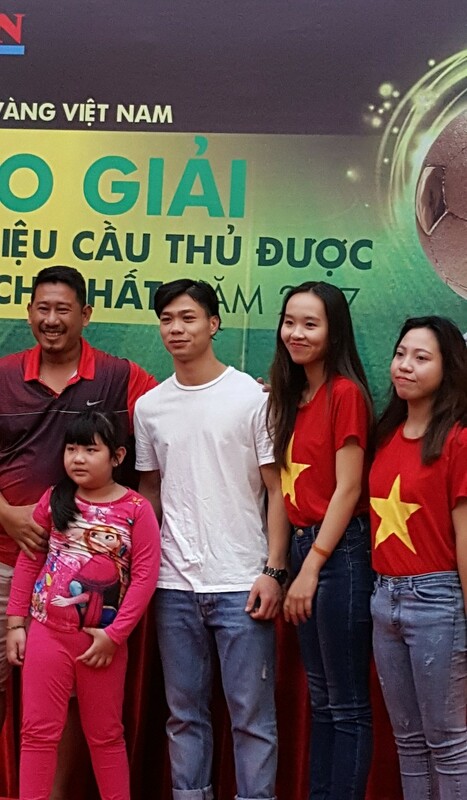 On this occasion, Cong Phuong met and shared experiences at AFC U23 championship and his feeling as the most favorite player in 2017. 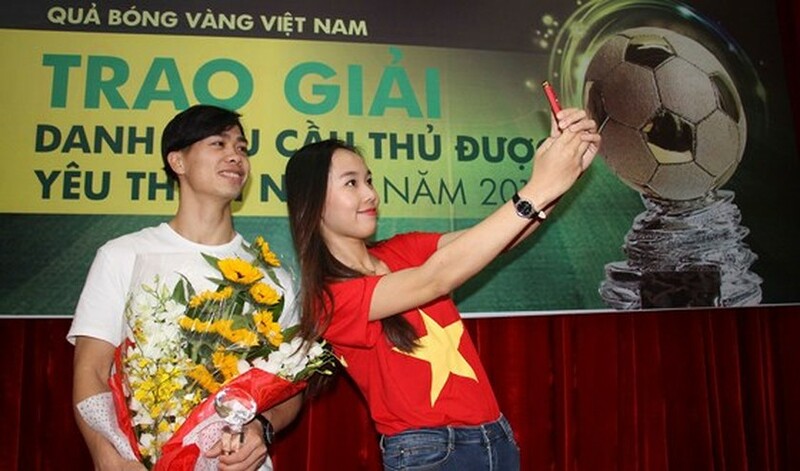 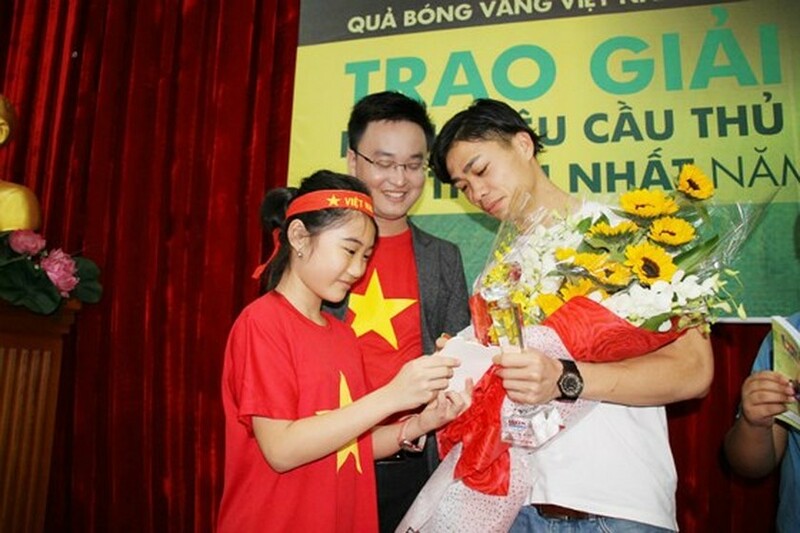 Deputy Editor in Chief of Sai Gon Giai Phong Newspaper -Head of Vietnam Golden Ball Awards Nguyen Thanh Loi gives the cup of "the most favorite player" to striker Nguyen Cong Phuong.